Fresh, wholesome, and natural. 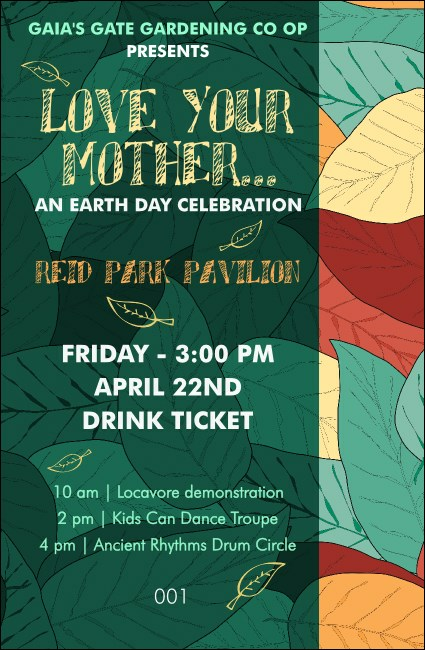 Whether it's herbal tea or fair trade cocoa, serve your drinks with green style when you distribute these Earth Day Organic Drink Tickets. Customize these nature-themed Drink Tickets with your event details and use them to reward your guests or keep cash sales simple and organized.